The United Nations Children’s Fund (UNICEF) has confirmed that a number of children were killed by an air strike conducted by the Saudi-led coalition, which was considered the deadliest bombing in years. A statement issued by the organization stated that the United Nations has verified the killing of a number of children in the attack in the coastal city of Hodeidah, western Yemen. “Many children have been registered missing, and the recovery of the wounded and the dead from the rubble is ongoing,” the statement said. In its statement, UNICEF called the massacre “among the deadliest attacks on children in years. The organization also urged the international community to assist Yemen’s children through the pledging conference in Geneva. 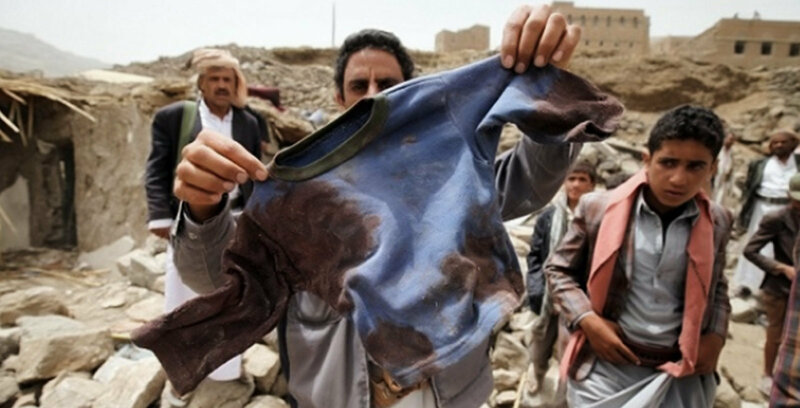 At least 14 civilians, including seven children and three women, were killed on Monday in raids waged by the Saudi-led coalition on a gathering of displaced people in Al-Hali district of Hodeidah.